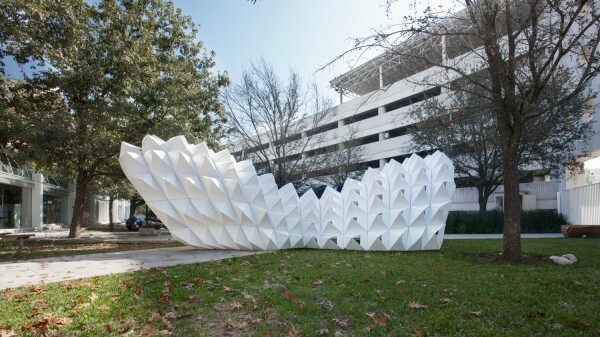 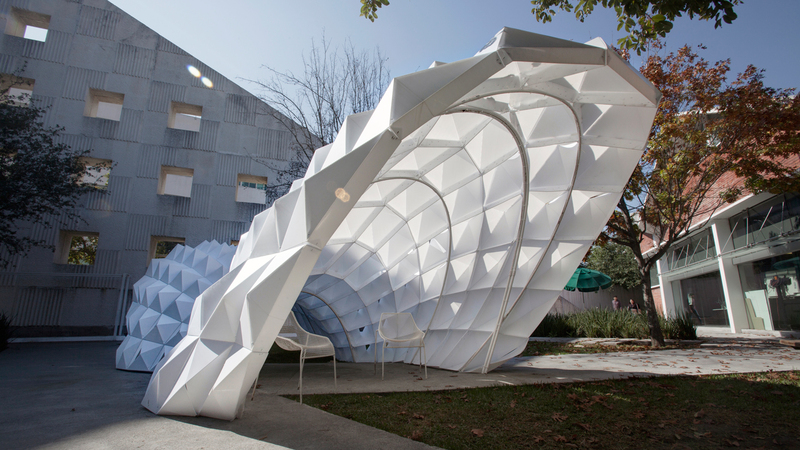 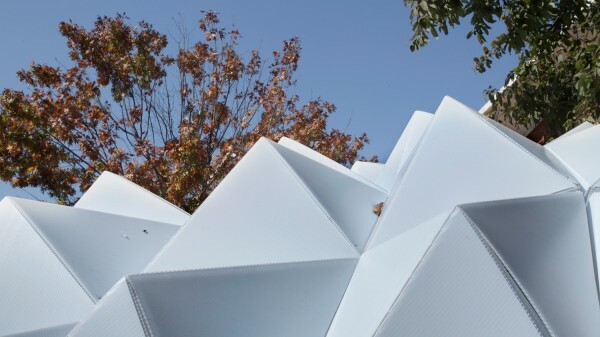 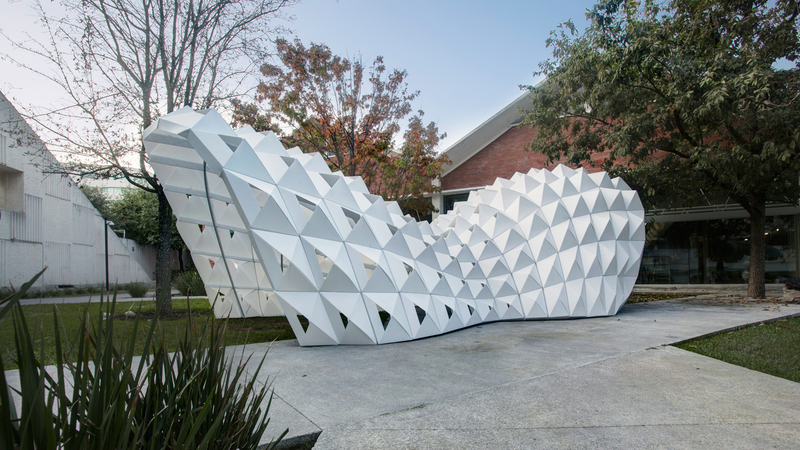 A group of 11 undergrad students from Tecnologico De Monterrey Campus Monterrey have constructed a Parametric Pavilion as a final exercise for the semester. 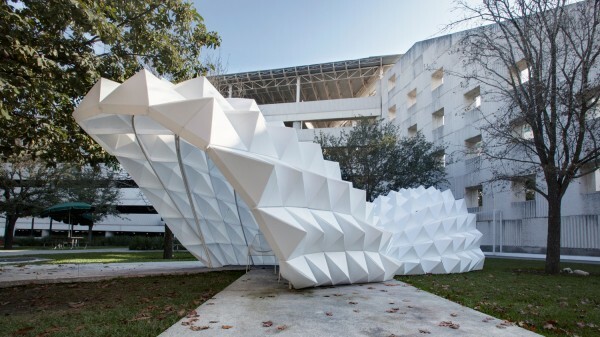 The project started with an algorithm created by one of the students were a pyramidal shaped component was placed across a vaulted surface, creating a strong differentiation by changing its height. 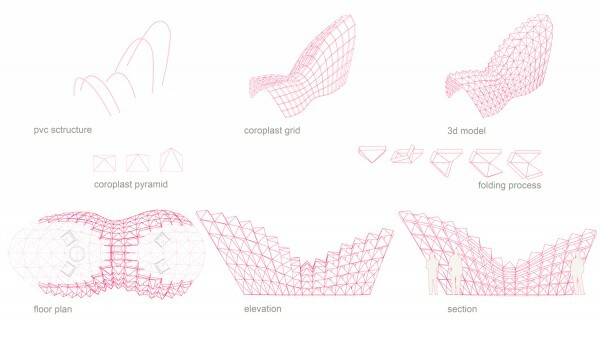 Another algorithm was elaborated to unfold all the 195 components to a flat surface to be laser cut and then folded to generate the pyramidal shape from a single piece of 3 millimeter Coroplast. The team carefully assembled all the components using an industrial staple gun and plastic cable zip ties and reinforced the structure with PVC pipes that were fixed to the ground. 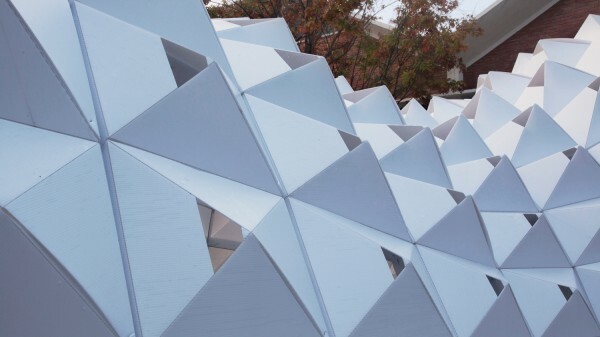 The pavilion will encourage future students to use digital fabrication techniques. 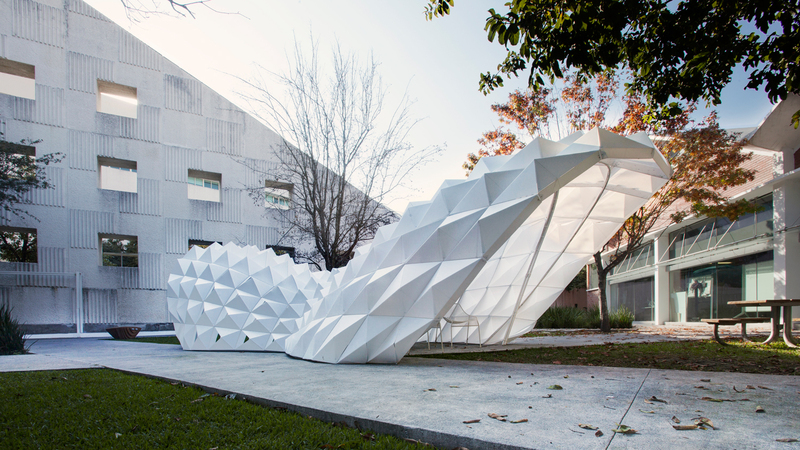 Project: DIGFABMTY 1.0 Location: Monterrey, Mexico Coordinator: Alejandro Rodriguez Design: Andrés Martinez Photography: Alejandro Rodriguez School: Tec de Monterrey Campus Monterrey Date: December 2014 Area: 21 square meters Software: Rhinoceros + Grasshopper Material: Coroplast Team: Paulina Rangel, Francisco Ruiz, Omar Nava, Maru Padilla, Cesar Delgado, Andrés Martinez, Esteban Huacuja, Javier Jasso, Cristina Gonzalez, Lucia Coronel, Alberto Frias.